More and more Incidents of Civilian Killings by US and Nato Forces Continues to take place in different Provinces of Afghanistan. On Tuesday 6 Afghan Civilians Lost their Lives in an attack of Nato forces. 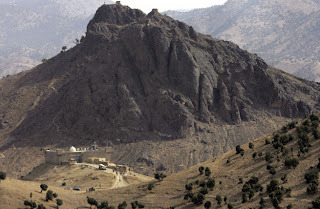 According to media reports Nato Forces Attacked a house at night in Sari Pul Province of Afghanistan due to which 6 Citizens got killed. Nato Forces also arrested 4 people in this operation. In last 30 days over 20 Kids have lost their lives in different attacks of Nato Forces. On other hand Protests against Burning of Quran by American Pastor Terry Continues in Afghanistan. Last week Afghan Protesters attacked a UN Office killing 10 UN Officials.